The second round review rates Australia as overall Largely Compliant against the enhanced 2016 Terms of Reference. In 2010, the Global Forum evaluated Australia against the 2010 Terms of Reference and was rated Compliant overall. In this review, key issues where improvement is recommended relate to the availability of beneficial ownership information. Although there are several legal requirements to maintain beneficial ownership information in Australia and these requirements are generally well implemented in practice, improvements are needed in respect of the legal framework and in respect of monitoring the implementation of the 2014 CDD rules by banks, which ensures the availability of beneficial ownership information on bank accounts. 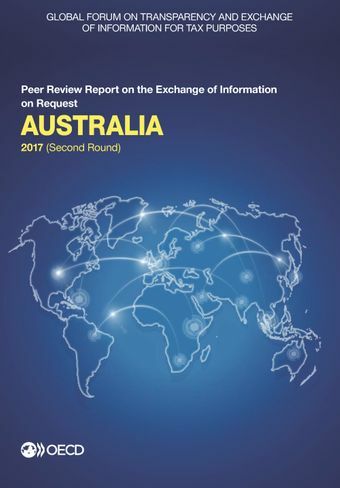 Apart from these required improvements on beneficial ownership information, Australia’s peers continue to be very satisfied with the quality and timeliness of the information provided during the review period and no material deficiencies were identified in respect of accessing and exchanging information to the standard.